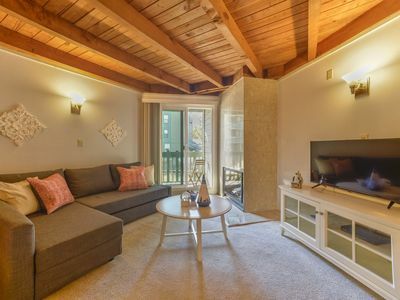 This is a lovely, well-appointed, one-bedroom, one-bath unit in the Silver Mill development. Silver Mill is an easy 150-yard walk to the Keystone gondola. 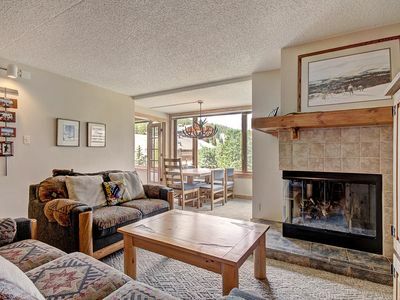 Alternatively, you can catch the shuttle bus in front of the condo lobby and be dropped off less than 5 minutes later at the Mountain House base area. When you get off the bus, just put on your skis or board and slide over to the Peru lift. 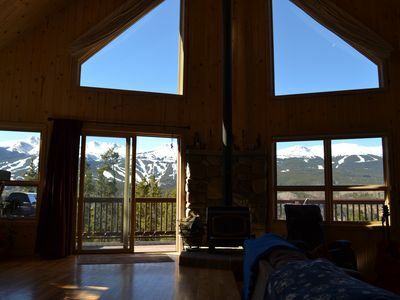 The Condo is on the top floor and has a partial view of Keystone Mountain. There are hot tubs and a swimming pool available for your use. 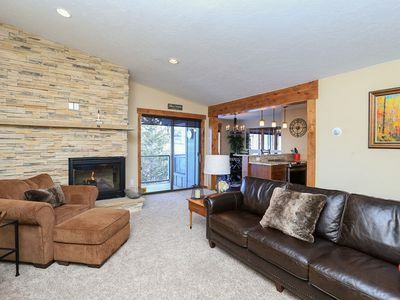 The living room has a vaulted ceiling giving it a wonderfully spacious feeling. 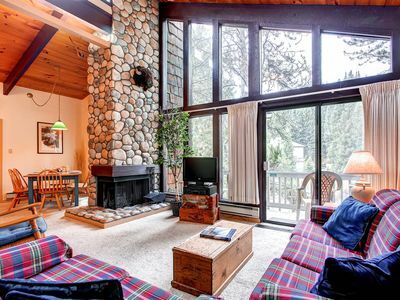 The bedroom has a sloped ceiling with a window that also provides you with mountain views. 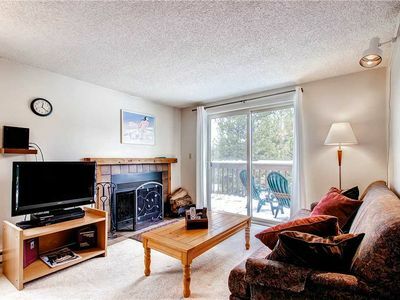 Because the Condo is on the top floor and near the end of the hallway, it is particularly quiet and private. 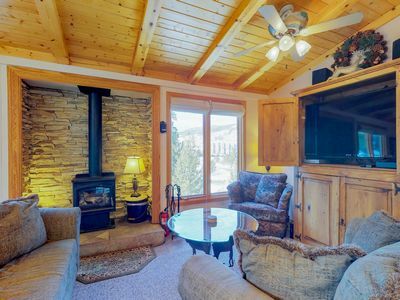 All in all, Keystone is a fabulous mountain and the entire Summit area is a great place to vacation this winter. 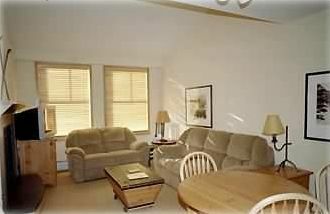 Our condominium unit in Silver Mill is one of the best places to stay while you are enjoying all of it. The rooms are always clean and well stocked, the linen and towels are similar to what you would find in your own home (because this is our second home) and we care about sharing it with you and having you enjoy it as much as we do. There are hot tubs and a swimming pool available for your use. 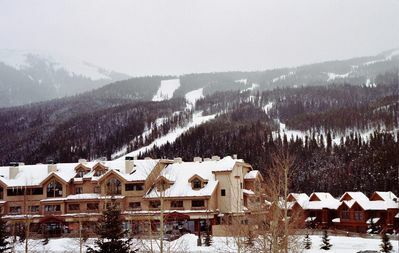 Summit County is a major winter resort area. 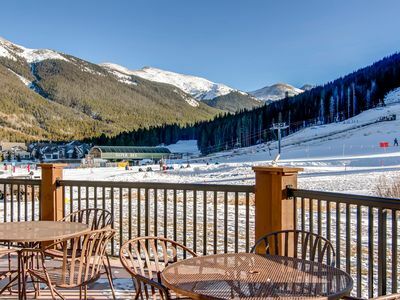 The air is clean and fresh, the skies are blue, and you can access skiing at Keystone, Breckenridge, Copper Mountain, Vail, Beaver Creek, A-Basin, and Loveland. There are also a ton of other activities to participate in during the winter season. There is ice skating, tubing, lots of shopping, wonderful restaurants, and fabulous opportunities for taking pictures which your friends will really envy. 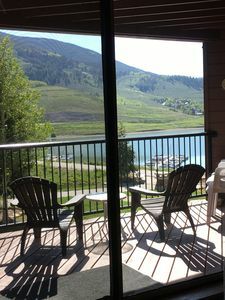 Summit County is a four season resort. Just because winter has ended doesn't mean there's nothing to do there. On the contrary, the air is clean and fresh, the skies are blue, it's warm and dry during the day, and it cools down nicely at night. When you are tired of the heat and humidity and pollution of wherever you live, book with us for a refreshing change. You can bicycle on the roads and paved off-road trails, or on innumerable dirt trails, or you can take your mountain bike to the top via the Gondola and ride down from there. You can also take a scenic ride to the top of the mountain. It may be cool at the top, so bring a light jacket. There are numerous lakes and streams for swimming, fishing or boating. There are tons of trails for hiking, rock climbing, backpacking, and camping out. 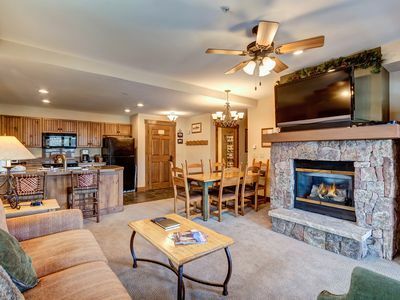 You can play golf, take a rafting trip, ride a horse, or take a dinner wagon ride. There are a number of festivals which take place throughout the summer. Note that this is a private unit and is not on the Keystone rental service. Thus we an provide you with lower rates. However, daily maid service is not provided. It can be added for an additional charge. 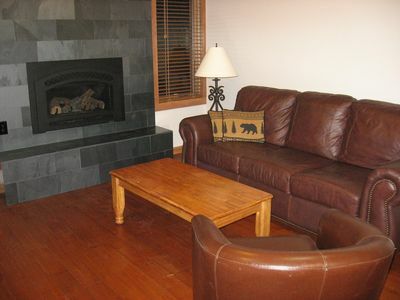 We provide a mid-stay clean free of charge for stays of 6 or more days. The bedroom has a brand new Queen-size bed and a new 22' LED flat screen color TV plus DVD. 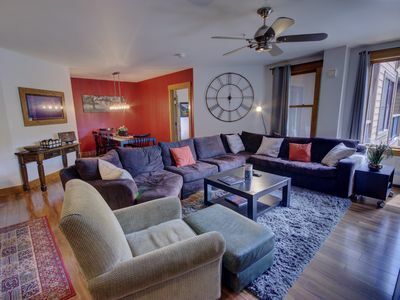 The living room features a convertible queen sofa and a new 39' flat screen LED color TV with a DVD player. 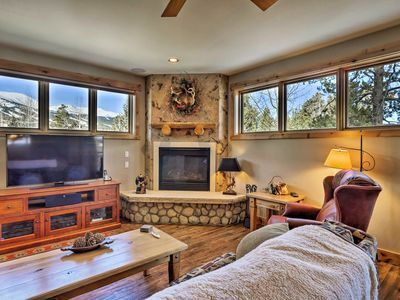 Cable insures that you have plenty of channels, including the Weather Channel (very important in the mountains!) and HBO. 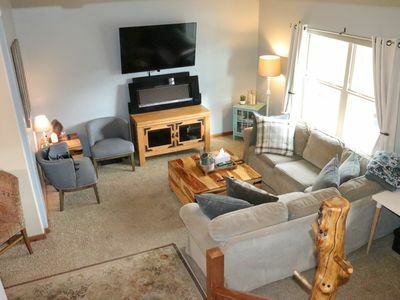 The living room also has a very comfortable new reclining loveseat - the perfect place to relax, watch TV, or doze off and dream of the next day's activities. 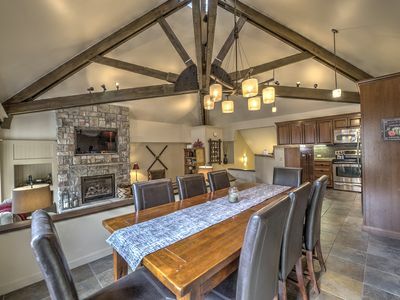 The kitchen is well-equipped with all the necessities to fix a quick snack or a gourmet meal. 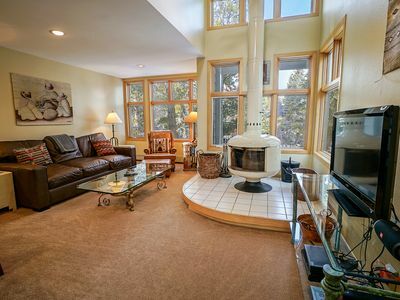 It includes a coffee maker, a four burner electric stove, full size refrigerator, microwave, toaster, and dishwasher. When you arrive you will use your key card to access the enclosed heated garage. You can park very close to the elevator, use one or two luggage carts to unload all your stuff, then easily bring it up the elevator and into your keycard-accessed room. On the first floor of Silver Mill you will find the ski lockers, a TV room with a pool table, and an indoor sauna. Just outside you have a choice of three outdoor hot tubs and a heated swimming pool (seasonal). Washers and dryers are available in the building on the third and fifth floors, and there is FREE WiFi access. 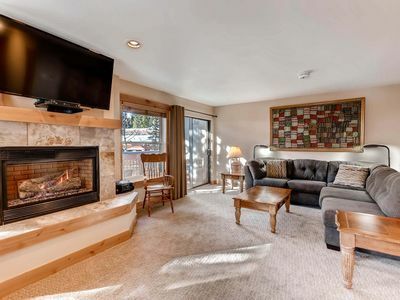 Come stay with us - you will have all the comforts of home for your ski vacation. 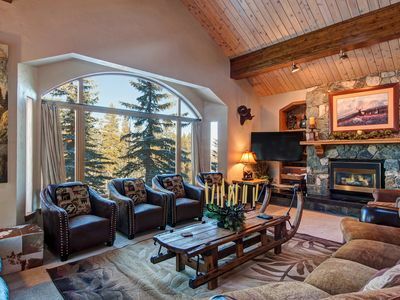 Cozy penthouse, walk to lifts! 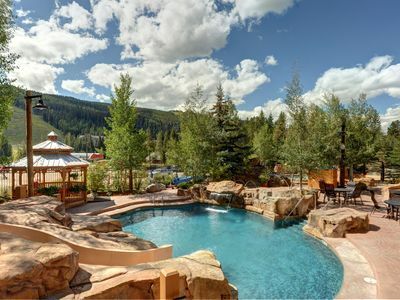 Terrific views, shared pool, and hot tub.